Is gender just a performance? Join us for a BushGreen Live Debate inspired by our co-production with Headlong Boys Will Be Boys, as we get down and dirty with gender performativity and talk about a range of topics from feminism to transgender rights to drag. 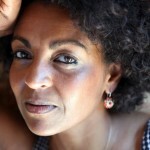 Adjoa Andoh is a British film, television, stage and radio actress. She is known on the UK stage for lead roles at the RSC, the National Theatre, the Royal Court Theatre and the Almeida Theatre, and is a familiar face on British television – notably in two series of Doctor Who as companion Martha’s mother Francine Jones, 90 episodes of the BBC’s long-running medical drama Casualty as Staff Nurse (later Sister) Colette Griffiths and a year in the BBC’s EastEnders. Andoh is the voice of Alexander McCall Smith’s No. 1 Ladies Detective Agency; she won “Audio Book of the Year” for Tea Time for the Traditionally Built. She made her Hollywood debut in Autumn 2009 starring as Nelson Mandela’s Chief of Staff Brenda Mazibuko alongside Morgan Freeman as Mandela in Clint Eastwood’s Invictus. She has spoken publicly about raising a transgender child, including on BBC radio and TEDx. 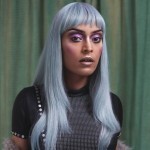 Asifa Lahore, the alter-ego of Asif Quraishi is Britain’s first out Muslim drag queen, pushing the boundaries of what it means to be Gay and Muslim. In 2014 Lahore came into the national spotlight when she was famously censored from discussing Islam and Homosexuality on BBC Free Speech. This caused uproar in the British press and allowed Lahore the rare opportunity to speak openly about the topic. She received death threats for her music videos and stage act due to highlighting the issue. Later that year Lahore was nominated by readers of The Independent newspaper for their Rainbow List of most prominent LGBT people in Britain entering the list at Number 86. In 2011, Lahore made her debut and won the bronze medal of the annual Drag Idol UK competition to find the newest cabaret talent in the UK. She went on to promote and DJ at London’s top Gaysian club nights, before setting up her own night, Disco Rani. Last year, Asifa featured in Channel 4’s documentary Muslim Drag Queens which aired in August 2015, drawing an audience of 1.1 million viewers. Alongside Muslim Drag Queens, 2015 saw Asifa become established as a leading figure within in the Gaysian community receiving the prestigious LGBT award at the Attitude Magazine Pride Awards. Asifa was also a judge for the Independent’s Rainbow List and has spoken at the Oxford Union. Rebecca Root trained as an actor at Mountview Academy of Theatre Arts, following two seasons with the National Youth Theatre. 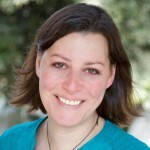 She has worked across a range of platforms, including television, theatre, film and spoken word for over two decades. Last year, she played Judy in Boy Meets Girl, a BBC sitcom and the first of its kind to cast a transgender actor in a lead transgender role. Her other credits include The Danish Girl (Working Title/Pretty Pictures); Hollyoaks (Lime Pictures/Channel 4); Midsomer Murders (Bentley Productions/ITV); Casualty (BBC Television); Keeping Up Appearances (BBC Television); The Detectives (Celador/BBC Television); Hamlet (Athens International Festival and Gielgud Theatre, directed by Peter Hall); The Lady’s Not For Burning (UK tour), Tartuffe (Traffic of the Stage/Pentameters); The Shaughraun (Upstairs at The Gatehouse); Der Rosenkavalier (Royal Opera House) and The Sleeping Beauty (Mariinsky Ballet).